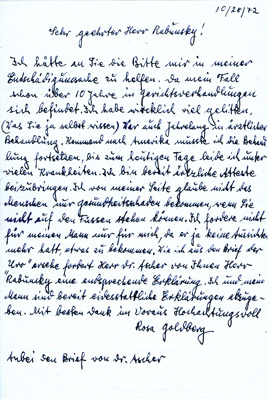 This is a handwritten letter from Rosa to Mr. Rabunsky, asking him to help her with her request for restitution. She reminds him that she has suffered greatly, has spent many years in treatment, and is still suffering from many illnesses. She offers to provide doctors' certificates to that effect. 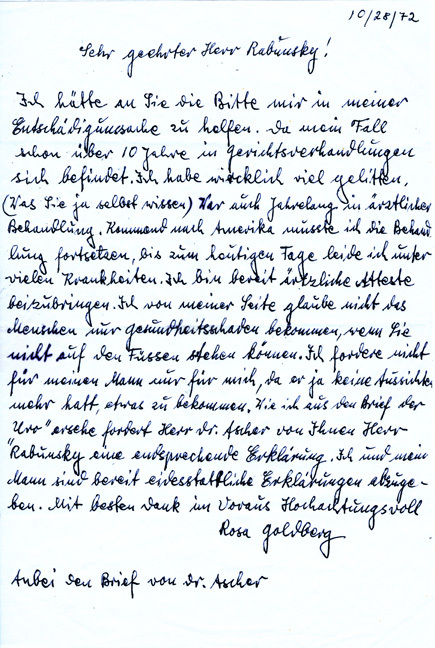 She explains that Dr. Ascher of the United Restitution Organization (URO) has demanded a declaration.